Do you suffer from allergies? Researchers believe that 50 million Americans or more suffer from allergies. 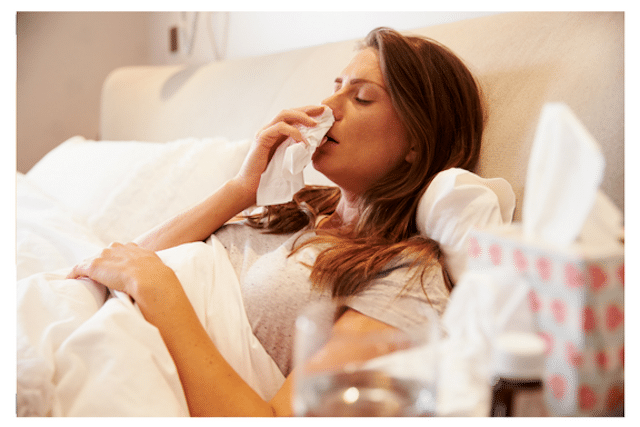 Allergens are everywhere around you and in your home too. To help remove allergens from your home, schedule carpet cleaning for allergy relief. A clean home is a happy home and a healthy home. A clean home is much less likely to have allergens in it than a dirty home. Allergens are in dirty bedding, dirty clothing, damp places and circulating in the air. If you own pets, there are several allergens associated with pet hair and pet dander. Like we said, allergens are everywhere and one of the most common places you will find allergens in your home is in carpet. Allergens will circulate through the air in your home and eventually land on carpet where it is trapped in the fibers. The carpet is essentially a large filter. The allergens don’t enter the air you breathe again but you still want them gone from your home. That means you should consider carpet cleaning for a healthier home. 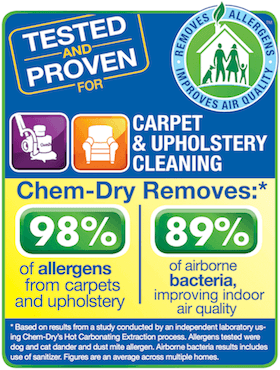 If you vacuum your carpet on a regular basis it will help but if you schedule deep cleaning from Chem-Dry of Fort Wayne it will remove over 98% of allergens from carpet. The Chem-Dry of Fort Wayne carpet cleaning process uses green cleaning solutions and Hot Carbonating Extraction (HCE) for healthy results. Carbonation from our cleaning solution, The Natural®, lifts the allergens to the surface of the carpet and then our extraction equipment and suction hoses remove them from the carpet and transfer them to disposal tanks. Go one step further and request sanitizer from Chem-Dry of Fort Wayne. Our sanitize removes 89% of bacteria from the air in your home. This means scheduling carpet cleaning with us removes almost all of the allergens from your carpet and the bacteria from your air for a truly happy and healthy home.